Endless Sorrow is an a all caps classic serif cartoon typeface created and published by Artimasa, a small type design and lettering studio from Indonesia. 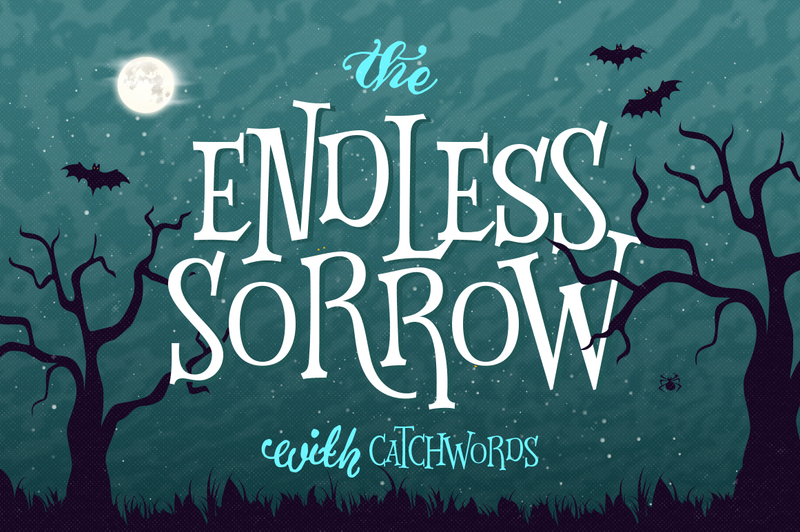 Inspired by vintage fairy tales books and cartoons, Endless Sorrow‘s irregular height and catchwords makes it stand out as a humanist type you could use for your next handcrafted projects like posters, flyers, banners, illustrations, covers, and children anniversary events etc. Endless Sorrow is really nice! A font description published on Tuesday, May 12th, 2015 in Artimasa, Fonts by Andrei that has 3,198 views.